Your donation directly contributes to the museum’s general operating budget and is used towards the museum’s interpretive programs and the conservation efforts by the research staff. Gift memberships are a perfect way to thank a friend or to give as an anniversary or birthday gift. The recipient will be pleased to know that their gift supported a valuable community asset. An acknowledgment card will be sent to the recipient, and your donation is announced in the newsletter. Memorial donations are an appropriate and thoughtful way to remember departed friends and loved ones. An acknowledgment of your gift will be sent to family members, and listed in the newsletter. When making your estate plan, please remember the Kelley House. 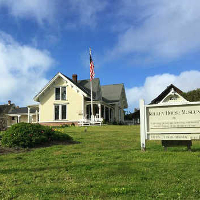 Our legal name is “Kelley House Museum, Inc.” and our Federal Tax ID is #94-2277534. 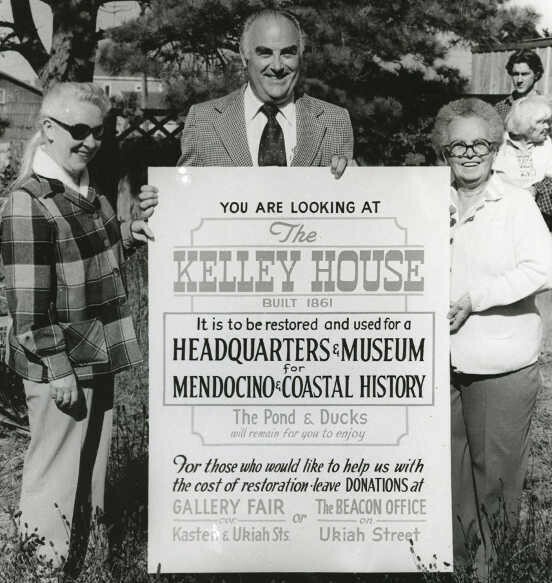 Name us as the beneficiary on a CD, make a financial bequest, or bequeath your unique Mendocino Coast historic collection to the Kelley House Museum, Inc.. If you would like to donate click below. For a memorial donation, you may add a note during the donation process. We invite you to click the box labeled Share my mailing address with Kelley House Museum.